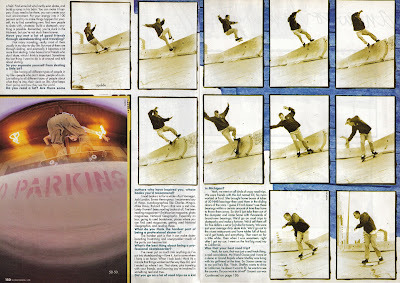 "It’s funny because I had a Transworld interview come out right after I’d quit. People told me that I should've at least waited for the photo incentives but that’s exactly what I didn’t want to do. It was never about that." Friend of the site and multi-faceted maker of rad, Greg Hunt. This part doesn't get enough credit. Most would argue, and I might even agree, that he has made more of an impact behind the lens than in front of it. And there's plenty of reason to say that. His film, video and still work is beautiful and powerful. A true artistic documentarian. But lord almighty that Tincan Folklore part remains one of my favorites of all time. The tag team combo of him and Matt Rodriguez in that video reset the way I skated- especially ledges- in a real way. And I was lucky enough to film him for that part before he stepped behind a camera. 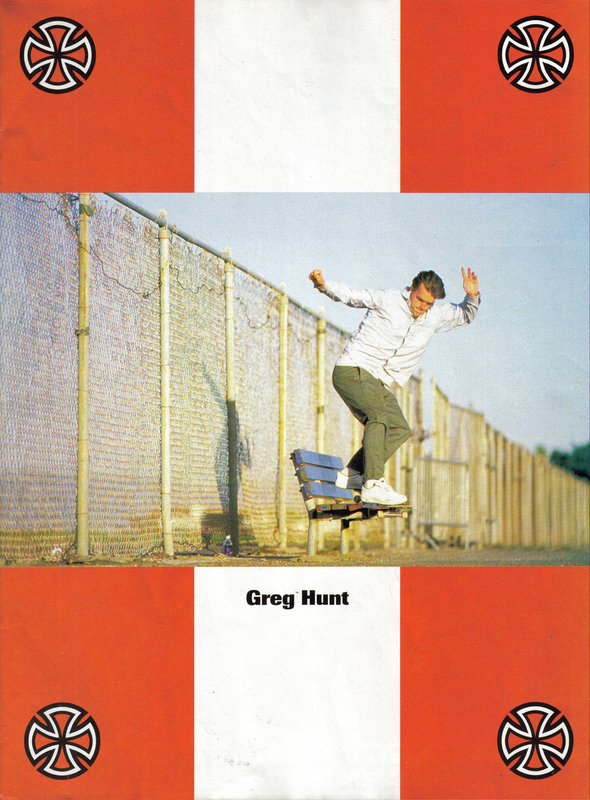 Some skaters look at spots in a different way, think about lines in a different way, think about connecting the dots in a different way, and Greg was one of them. His fluid and somewhat lazy style just flowed along. Maybe that's why he never jumped out to a lot of people. But he had that flowing, skipping style that has always intrigued me. I'd definitely rather watch him skate a ledge than most others in the world. And crap, he introduced me and all of us, really, to Tortoise. And that first pro model he had with the guitar on it that was like 9" wide... just perfect for the times. Yeah, Spoons! An honor to know you. That interview took me back to one of the first TWS mags I bought (early '98). 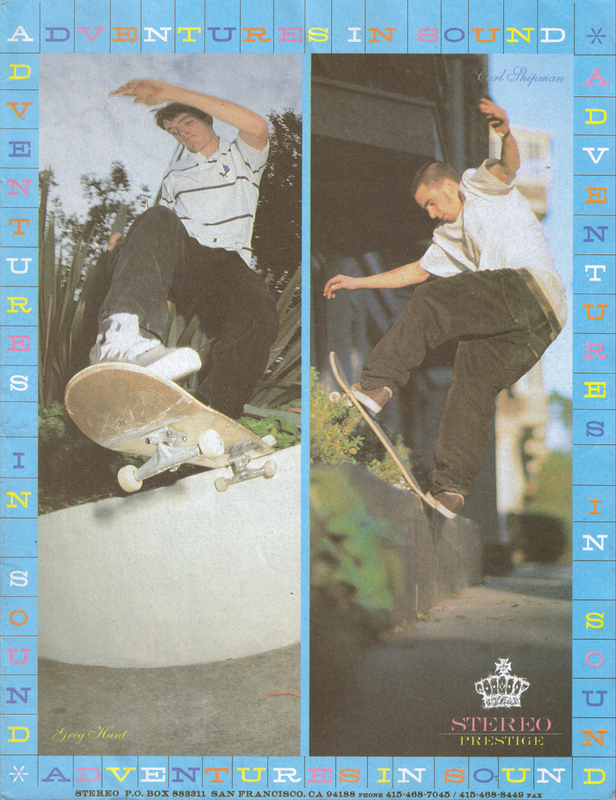 Dude always seemed subtle to me, but able to convey power and thought in his skating. 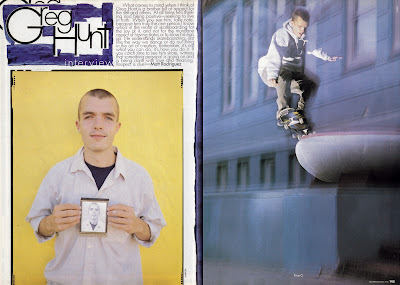 Feel some of his ledge tricks (180-ing out of grinds the hard way) in Tin Can, came back into popularity these last few years. Happy to see his transition toward work behind the lens throughout the years. Inspiring. Cool that he realized professional skating wasn't the end of the world, didn't milk it, and still participates in the industry with legit cred. 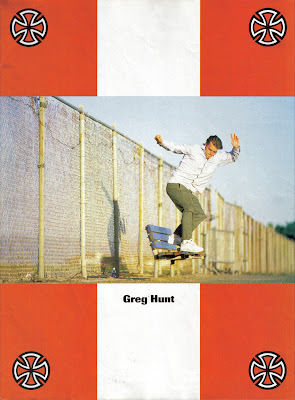 Always stoked on Greg Hunt. Nice smooth unique skate style. Is there any footage of Goose?